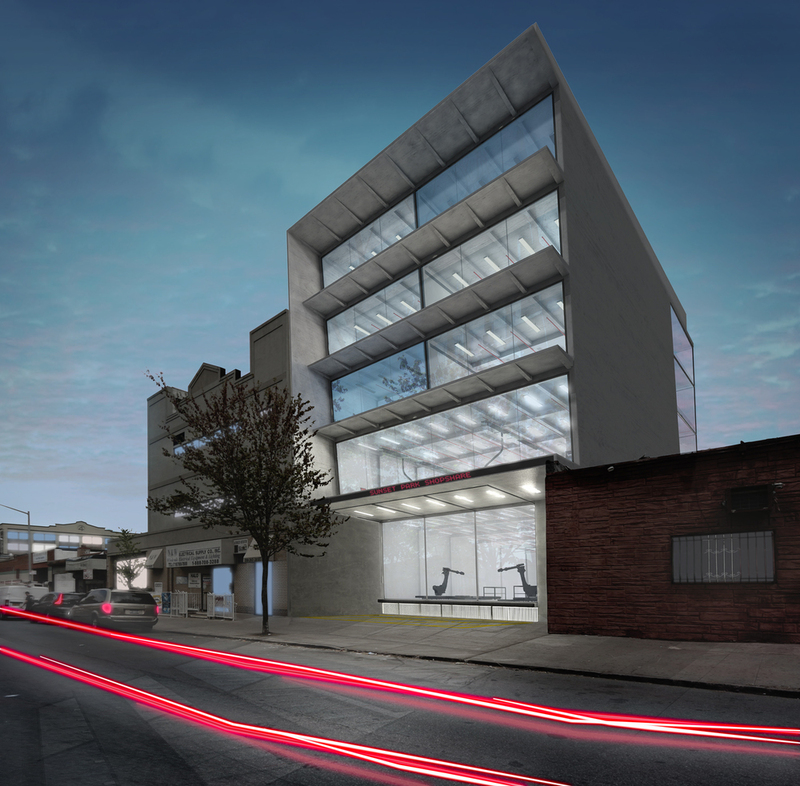 New York is part of the new manufacturing economy and the newest frontier is Sunset Park; Freecell was asked to envision a building that optimizes its organization to suit the incoming high tech entrepreneurs. SHOPshare is what its name implies, a community workshop providing access to space, tools, and software. SHOPshare is, a building dedicated the digital manufacturing with adjacent short-term rental studio spaces. The first two floors of the building are occupied by digitally driven shops with computer workstations, robotic arms, and CNC routers. The top three floors give space to individual studios, each with a large window (either north or south-facing), water service, 100-amp power, and compressed air. The basement gives tenants a space to store their fabrication materials. The entire building is served by a 8ft x 10ft automatic freight elevator, has integrated air filtration / dust collection, spray booths, wet zones with utility sinks, and high-load electrical service. The first floor allows a high level of transparency showing off the building’s two FANUC robot arms. The large front door allow for natural light in the robotic shop , as well,as , pivoting up to give access to deliveries and pick-ups. SHOPshare is less than a block away from a 2-stop express subway ride to lower Manhattan and has easy access to the BQE. the project is in the planning phase now and is expected to open Fall 2016.